MojoLion after a water workout! Thank you to everyone who assisted in putting this overview together. 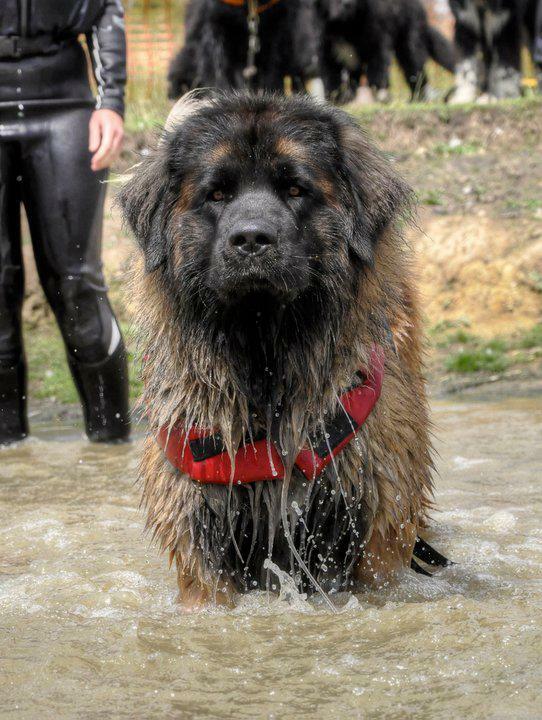 With their webbed feet, Leos love the water. Preparing for water work involves intense training and dedication. The owner must ensure her dog is healthy and capable of the exercises. 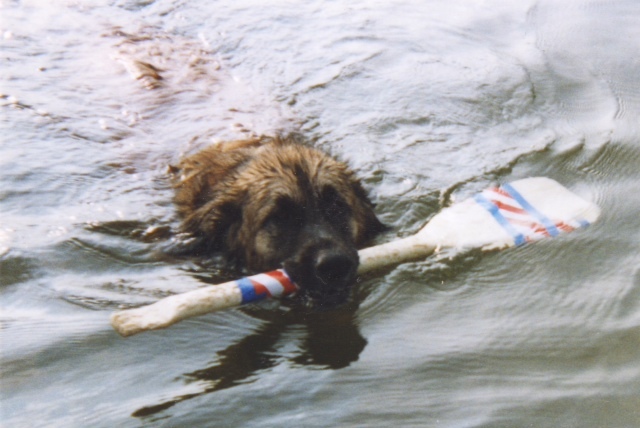 If you take the time to work with your Leo in the water, you will find a true bond and witness a very happy dog. image below: Elke Von Stutensee working hard.